One way of accomplishing this is to go around the world again with a hat in hand. This we have been doing since independence, but have done nothing with most of the dole received so far, other than to create false affluence. More of the same is not going to make us behave differently. Our border trade with our immediate neighbours — India, Afghanistan and Iran — has been held hostage since the very day Pakistan came into being to our self-destructive geostrategic compulsions. So much so that we have virtually bottled up the country, shutting down our trade outlets in the east with India, in the north-west with Afghanistan and the west with Iran while the northern outlet has remained too far away until the advent of China-Pakistan Economic Corridor (CPEC) project and in the south we have a small little sea outlet, not enough for even our own limited export and import activity. So what do we do now? Continue living with such a depressing scenario and suffer the imminent consequences or try looking for ways to break the shackles of the model in practice? Now let us take a closer look at our comparative advantages: 1) We are an agricultural country; 2) We are a market of about 200 million people; 3) Pakistan is located at the crossings of trade routes from Casablanca in Africa to Kashgar in west China’s Xinjiang Uighur autonomous region and from Thailand in Southeast Asia to Turkey beyond the Middle East. These advantages can be exploited to the maximum if we really turn our attention to agriculture and develop its down and upstream production chain not only for local consumption but also for export to four corners of the world and the region from the Hub. 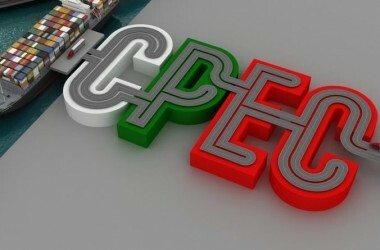 Indeed, the recent media reports quoting CPEC’s Long-Term Plan(LTP) prepared by the National Reform Commission (NDRC), the People’s Republic of China and China Development Bank (Dec 2015) have revealed that it is the agriculture sector in Pakistan which is expected to get the immediate boost following the launch of CPEC. The plan is said to outline an engagement that runs from one end of the supply chain all the way to the other. 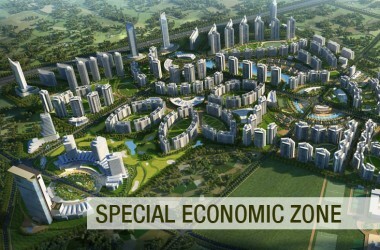 Chinese enterprises will also operate their own farms, processing facilities for fruits and vegetables and grain. Logistics companies will operate a large storage and transportation system for agrarian produce. The plan purportedly sees its main opportunity as helping the Kashgar prefecture, a territory within the larger Xinjiang autonomous zone. The prefecture’s total output in agriculture, forestry, animal husbandry and fishery amounted to just over $5 billion in 2012. For the Chinese, this is the main driving force behind investing in Pakistan’s agriculture, in addition to the many profitable opportunities that can open up for the Chinese enterprises. The plan makes some reference to export of agriculture goods from the ports. While welcoming this proposed initiative it would not be out of place here to recall the public apprehension voiced by our farming community and other stakeholders when it was mooted in 2009 to give thousands of acres of our agricultural land on lease to Saudi Arabia and Gulf companies for their use to ensure food security for their own countries. These apprehensions would be raised again when the details of CPEC’s agricultural part are made public. The government would then be obliged to take all the stakeholders into confidence and reassure them that the project in question would not be allowed to undermine Pakistan’s own food security, come what may.